Blendolous is a new game for Android devices which provides players with a simple objective, namely the one of combining and merging blocks. All color blocks in the game need to be combined, and when this happens, their color changes. 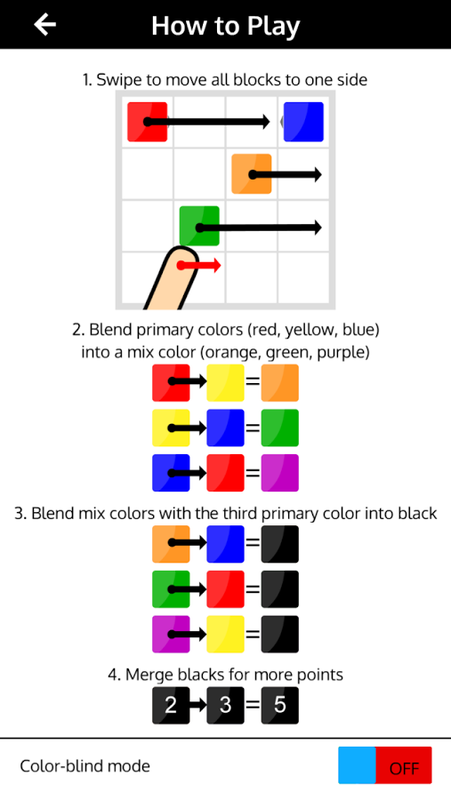 Ultimately, the majority of color will get to be blacked after a number of successful combinations. And the blacks need to be merged, meaning their stat will increased with each new black block added. For instance, if the black count is currently 76 and a new black block is merged, then the count will go on to 77. 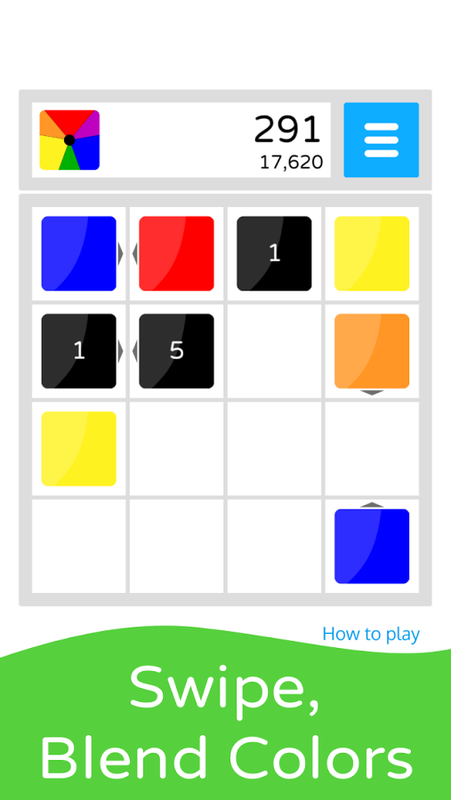 The game continues for an indefinite amount of time (until the table becomes full of color blocks), players’ objective being the one of reaching highest scores. The color blocks in this game need to be blended. For instance, yellow goes with red forming orange. 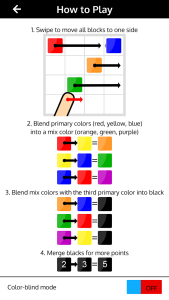 Then, orange can be combined with blue and it will form black. This process is very simple: one simply needs to swipe the blocks across the screen. After about 2 or 3 successful swipes, a new black block is created and it can be added easily to the mix of blacks. Also to be mentioned those new blocks will be randomly added with each swipe. In this game player has to combine black blocks in order to reach highest amount. The number of black merges that can be created can be to the number of hundreds and even thousands. And this only influences players’ score, which will be higher with each new swipe. Blendolous is very easy to play, since all one needs to do is to swipe in a given direction for the purpose of blending colorful blocks or merging black blocks. Animations are smooth with every swipe even when speaking about a lower-end Android device. In order to add to the social aspect of the game, Blendolous comes complete with high scores, achievements which are to be released throughout the gameplay and a leaderboard which players can use to monitor the highest online scores of all times. In addition, once each game session is over, players can share their score on Facebook before starting a new game session. When it comes to Blendolous, 2 or more players can compete on the same device in turns for more fun. Blendolous is a great puzzle game for the Android OS (2.3 and above). It can be downloaded free of charge and it provides a great challenge for those looking to kill their spare time. There are great post and good information and your post are very nice.